​Manchester City boss Pep Guardiola has told his squad that the title race is 'almost over' and will be done if they lose in the Premier League again this season. City - last term's champions - have already suffered three defeats this season, which is more than they lost in total for their previous campaign. As a result they currently trail league leaders Liverpool by four points with 15 games left to play. Guardiola has stated the importance of every game City will play from now until the end of the season, making clear that his team cannot afford to slip up again. This week, ​City have a chance to momentarily close the gap on ​Liverpool to one point if they can win at ​Newcastle on Tuesday - Jurgen Klopp's side are in action against ​Leicester on Wednesday evening. 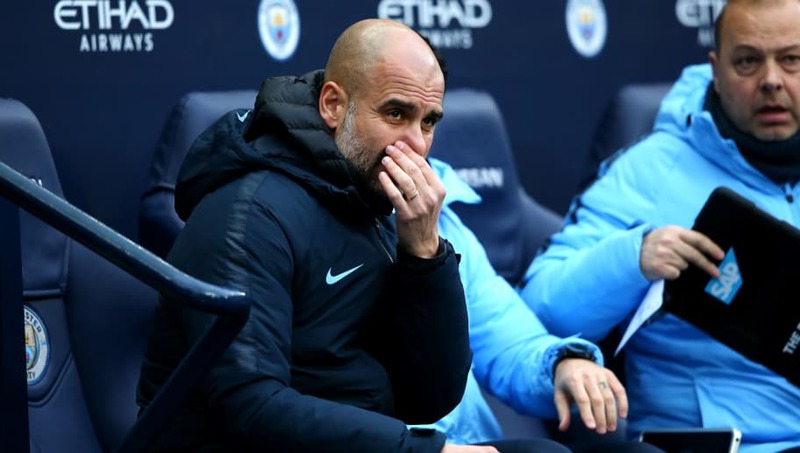 Talking about the his team's desperate need to win, as quoted in The Mirror, the City manager said: "In both situations, later or earlier, we win the games. If not, it's almost over. Every game is almost a final, and it's the same in the Cups. "What should we do, if after we have to win and before we have to win? All the teams who want to win the title have to feel the pressure, but you have to handle it. "I think with 15 games left and many points to play for and different circumstances, there are a lot of games in our legs, even though we change competitions day by day." The boss knows it's going to be tough tomorrow night. How are you feeling about #NEWMCI? He then spoke in more detail about City's upcoming opponents: "We have to imagine what Newcastle will do and focus, that's the only way - to be consistent and try to win. "They play quite similar to ​Burnley and Southampton. In the last two seasons with Newcastle, with my colleague, always it's tough. I imagine it will be the same tomorrow. "They defend well. But with this kind of defence we attack better,we can control our own counter attacks and attack more fluently."